Your Storefront's Reseller Business Center Information you need to get the most out of your membership in AJIBOYE Monkey Business Agency's Management Partner Program. Partner & Profit to build your business. Your storefront's Reseller Business Center app provides the basic summary of your business and quick access links to the core tools you use everyday. To access it, on log into your storefront, and make sure to go the the My Account page if you are not already there after login. 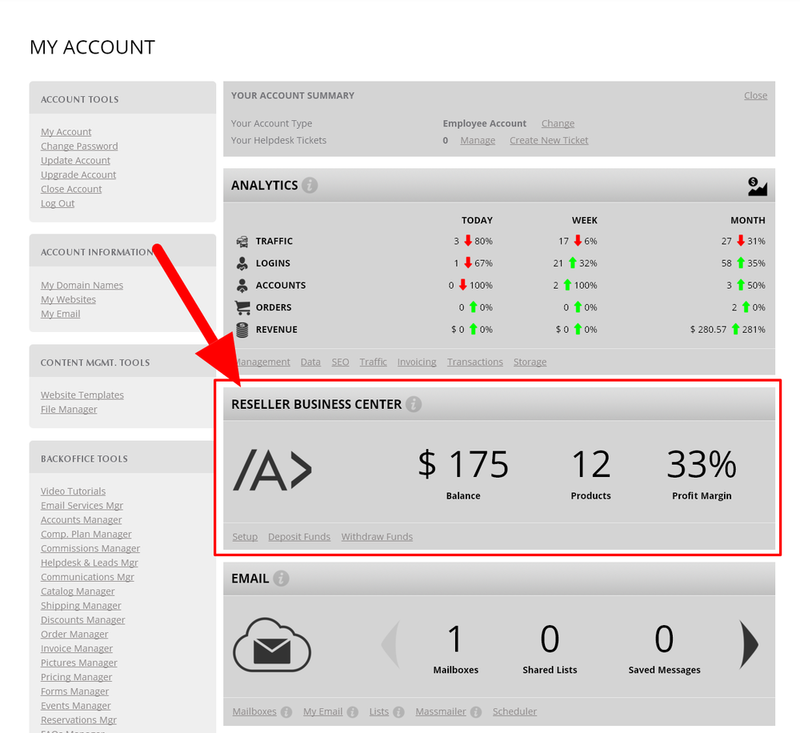 Scroll down and locate the Reseller Business Center.